GotToLove♥: What's on my Face #1. 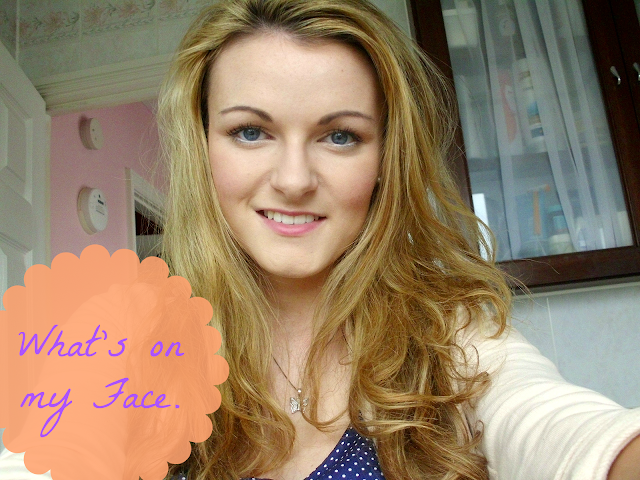 What's on my Face #1. Well I'm backkkkkkk! It's been a while, maybe about two weeks, but now my exams are over I can get back to doing what I love! So to start my blog off again, I thought I would do a What's on my Face post, as I was particularly liking my make-up today. This was just a popping down the shops look, so I tried to keep it quite minimalistic, didn't want to look like I was going out clubbing when going to ASDA! As my foundation is a bit on the pricey side, when I am only going somewhere quickly I prefer to use a BB cream rather than a full coverage foundation. The BB cream I use is Maybelline Dream Fresh BB Cream in Light, I like the coverage this gives for a BB cream and the colour is just perfect. Being a BB cream it doesn't cover blemishes but does reduce the redness and evens out skintone. To cover up blemishes I use the Collection Concealer which is just fantastic, I also use this the cover up dark circles and along my nose as it needs a bit of extra coverage. Lastly to set this all in place I use Rimmel Stay Matte Powder in Peach Glow, this is perfect for oily skin like mine as it keeps the skin looking matte. For my eyes I used a MUA eye liner pencil in white and took this along my lash line, I love this technique as it makes your eyes pop and just look instantly brighter. I also applied a shimmery gold eye shadow across my lid, with a light brown in the crease to define my eyes. The mascara I have on is the BareMinerals Big Tease, I would usually do a few coats on this mixed with L'Oreal Telescopic but, to be honest, I could not be bothered to apply it! For my eyebrows, I usually use Avon Perfect Eyebrow Pencil in Dark Brown, but I fancied a change to I used my MUA Pro-Brow Palette with a Real Techniques Angled Brush in define them. I much prefer the finish of a pencil as supposed to a powder when I want to really define my brows, but as I keep saying this is just a quick pop to the shops. For some definition I chose to use a Bronzing Powder by Lacura Beauty, I just did the fish face and took a large angled brush along the hollow of my cheeks. For a pop of colour I used Pink Ice by BareMinerals on the apples of my cheeks for a really rosey glow. And lastly for my lips, to keep in with the rosey cheeks, I used Classy by Elf. I love the formula of this and it is probably my new favourite in my collection at the moment. I hope you enjoyed this post and I'm going to get my bum in gear and get back into my blogging routine! See you guys soon, becciixx. Can you get any brighter? !